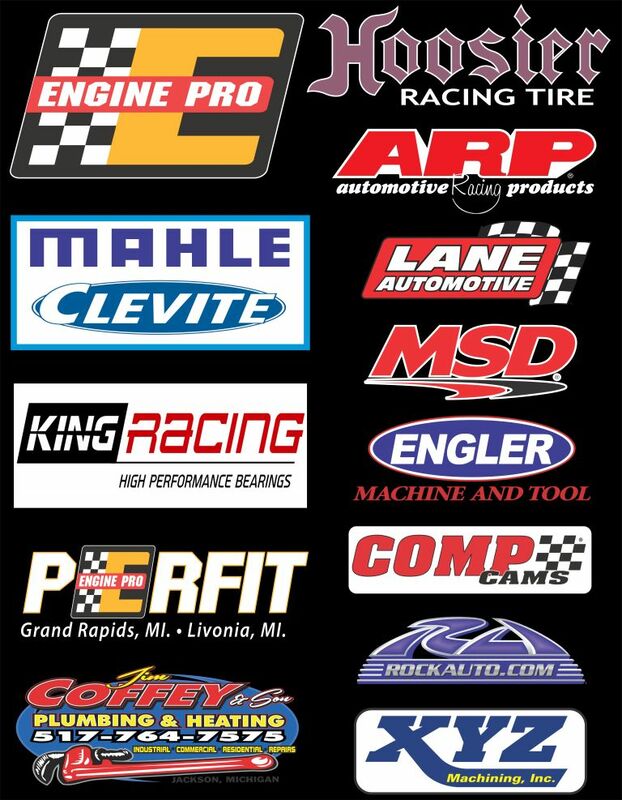 ERIE, MI (February 26, 2018) – Engine Pro Sprints On Dirt presented by ARP will once again make it easy for SOD competitors to display its many sponsor partners’ logos. Following last year’s success, SOD will once again provide competitors with sponsor panels that will allow them to install as few as 7 decals instead of 60+! There will be a panel for primary sponsors and one for secondary sponsors. The SOD decals will be separate as well as an ARP nose wing decal for this each race date’s Lucky Dog award eligibility. A few decals for each sponsor partner will still be available on a limited basis; decals for sponsor partners that join us after panel production will need to be supplied individually also. The primary sponsor panel will be approximately 14” wide by 18” high. The secondary sponsor panel will be approximately 36” wide by 5” high. The panels will be available with either a black or white background. Logos will be arranged to make it easy to cut the panels into sections if needed. The panels are not yet available since some new sponsorships have not been finalized. ERIE, MI (February 21, 2018) – Engine Pro Sprints On Dirt presented by ARP is proud to announce that COMP Cams will be a primary heat race sponsor partner for the 2018 season. 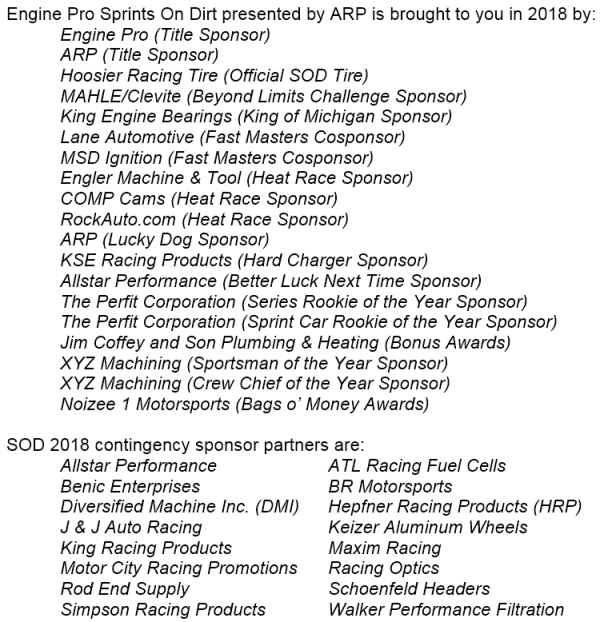 COMP Cams’ partnership allows Engine Pro Sprints On Dirt presented by ARP to pay its competitors for winning heat races, something not very common in sprint car racing. SOD racers appreciate the opportunity to be rewarded for top performance in preliminary races, not just feature events. For more than 35 years, the COMP Cams mission has never changed: to produce the highest-performing products possible, provide customers with superior service, and to lead the industry in technological development. While the COMP Performance Group has grown to multiple companies and hundreds of employees, COMP Cams still retains the competitive spirit and desire to be the very best that has positioned it as the absolute leader in valve train components. COMP Cams works with the best teams in sprint car racing and fits perfectly as a partner with SOD. Engine Pro Sprints On Dirt presented by ARP appreciates its long partnership with COMP Cams and works tirelessly to keep the COMP Cams name out front. For more information about COMP Cams, go to www.compcams.com. 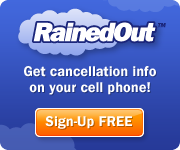 For more information about Engine Pro, go to www.enginepro.com. For more information about ARP, go to www.arp-bolts.com. Follow Sprints On Dirt at www.sprintsondirt.com and the Sprints On Dirt Facebook page. ERIE, MI (February 15, 2018) – Engine Pro Sprints On Dirt presented by ARP welcomes Benic Enterprises as a SOD partner for 2018. Benic Enterprises will award the 3rd place finishers in each heat race a certificate for $25.00 off any purchase from them. Benic Enterprises is certainly no stranger to SOD competitors. Many are already Benic customers and even more have benefitted from Scott Benic’s advice and expertise. Benic Enterprises is synonymous with sprint car racing. Started in 1998, Benic is now in its 20th year in business. It offers a full line of new and used sprint car parts; shock sales, setup, and service; and sprint car assembly and set up. Founder and owner Scott Benic has long been recognized for his skill and success as a sprint car owner and mechanic. Benic Enterprises takes pride in its second to none customer service. Benic’s customer-friendly shop has separate rooms for used and new inventory as well as a room for fabricating and building its race-winning shocks. Benic Enterprises is your one stop shop for all your racing needs! Benic Enterprises is located at 5705 S Western Ave, Marion, Indiana. Click here to keep up with Benic Enterprises and here for Benic Shocks on Facebook, or call (765) 573-5199. ERIE, MI (February 9, 2018) – Engine Pro Sprints On Dirt presented by ARP Dirt will make a much-anticipated return to Berlin Raceway on Saturday, September 29th. Last year, Berlin Raceway hosted the SOD season finale, the COMP Cams Great Lakes Sprint Car Classic. Republic, Ohio’s Cap Henry drove his Lane Racing #4 to the win over Ryan Ruhl and Jordan Ryan before a huge, enthusiastic crowd. This year’s race will once again bring the curtain down on the SOD 2018 season and will be its fourth race at the storied raceway. Besides last year’s event, SOD also raced at Berlin in 2013 and 2014. Berlin Raceway, renown and respected in the pavement racing world, has proven that it has mastered the challenge of creating a temporary dirt track; last year’s surface produced competitive racing, withstanding the assault of a large field of sprint cars, late models, and modifieds. SOD has used its “beyond limits” format to become the most recognized and respected regional sprint car series anywhere. Together, the two oval track leaders promise to make this year’s race an event fans won’t want to miss. Read about Berlin Raceway at www.berlinraceway.com and follow Berlin Raceway on Facebook at www.facebook.com/wherespeedbelongs. ERIE, MI (February 7, 2018) – Lane Automotive and MSD Ignition have announced their return as the Engine Pro Sprints On Dirt presented by ARP Fast Master Award sponsors for 2018. The popular award program was initiated last year by SOD. Track conditions typically determine when fastest qualifying times are achieved, so in an effort to “spread the wealth”, SOD decided to pay the fastest qualifier in each heat race instead of just the overall fast qualifier. 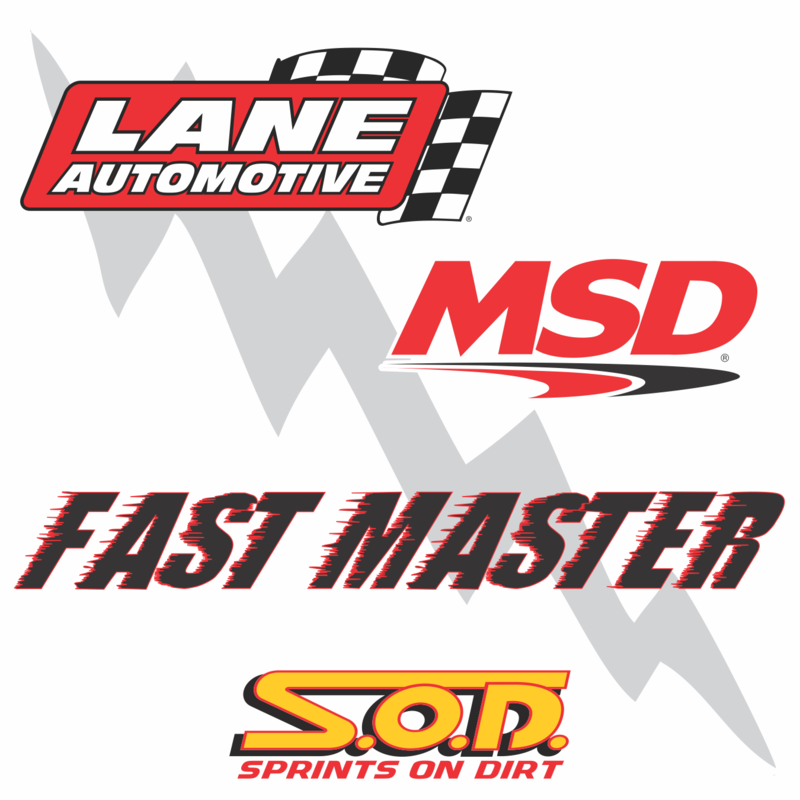 Lane Automotive and MSD Ignition have teamed up to recognize these speedsters once again. Lane Automotive is an amazing speed equipment industry phenomenon comprised of four separate divisions including Motor State Distributing, Allstar Performance, Lane Collectables, and the Lane Automotive Showroom. Lane Automotive is known the world over as a premier supplier of performance parts and accessories for racers, hot rodders, truck and off-road enthusiasts. Founded in 1964 by George Lane, the company serves customers around the world from its ultra-modern 275,000-square-foot distribution center and office complex in Watervliet, Michigan. Visit www.laneautomotive.com to get to know Lane Automotive. MSD, founded forty-eight years ago, is recognized as a leading name in ignition system products, EFI products and high performance parts. MSD designs, develops, tests and assembles its entire line of ignition boxes, crank triggers, distributors, EFI systems, transmission controllers, spark plugs, coils, spark plug wires, and other performance parts from its 150,000+ square feet headquarters in El Paso, Texas, where it employs over 400 people. Read more about MSD at www.msdperformance.com.